One Six One is a medical centre for a number of Medical Consultants. The centre provides consulting rooms as well as operating space for minor surgery. Jet Creative built the original site some years ago. 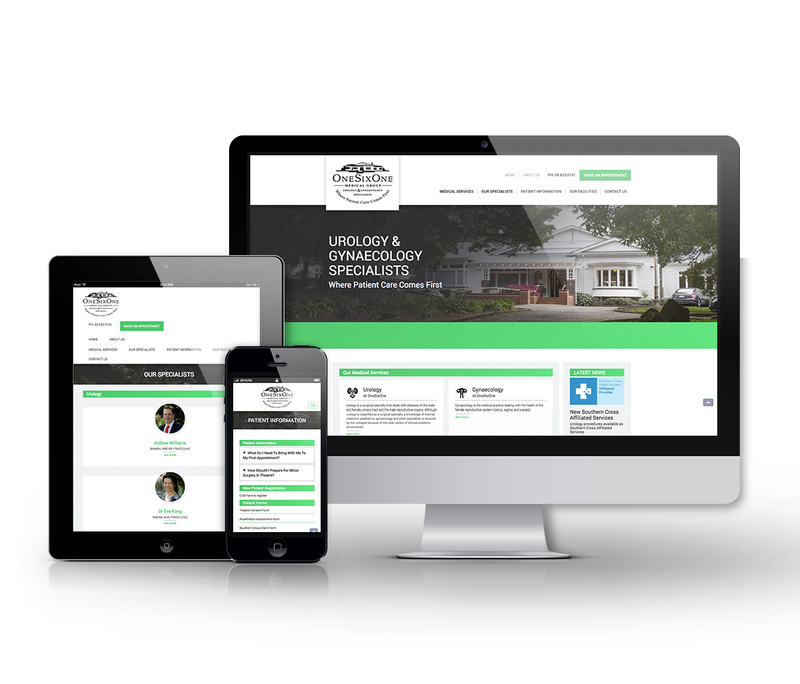 With this latest refresh we have created a fully dynamic, mobile friendly web site using CK5. The site features the our unique Related Content system. In typical CMS systems when a user clicks on a story/article, the selected article is presented in a standard page with the surrounding menus, advertising, links mostly constant. With CK5's Related Content system (as used in the services page ) the entire page output can be linked to the story being presented. In this case when a service type article is selected the specialist for that service are displayed.